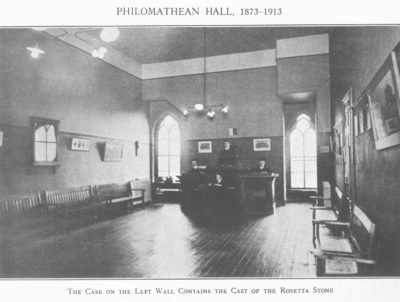 The University Magazine was a project of the Philomathean Society, the University of Pennsylvania’s first campus student organization. 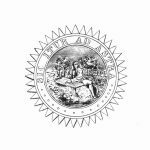 Founded as a literary and debating society in October 1813, the Philomathean Society, colloquially known as “Philo,” was part of a larger tradition of collegiate literary societies which dominated American collegiate life in the early nineteenth century. Throughout its early years, Philo hosted regular debates and oratorical contests; these activities were viewed as an extension of the college curriculum that reinforced the skills that college men would need in their subsequent professional careers. Most colleges and universities in the eastern United States supported two rival societies; the Zelosophic Society was founded at Penn in 1829. By the early 1870s, many collegiate literary societies were on the decline, destabilized by the Civil War and tied too closely to a model of education and collegiate life that was rapidly becoming outdated. While the Zelosophic Society folded in 1872, Philo launched into a new period of activity, beginning with an appointed committee that was tasked with producing a monthly literary magazine that would represent the University of Pennsylvania to greatest advantage in the outside world. A board of five editors was appointed by the Society’s moderator, or president, for the duration of an academic term. Until the academic year 1882-1883, the University ran on a trimester system, resulting in frequent editorial turn-over; even after the academic calendar shifted, Philo continued to elect her officers on the three-term system at least through the fall of 1885. As a Philomathean committee, the University Magazine was bankrolled by the Society, which provided the initial capital from its own budget. Annual subscriptions for twelve issues of the Magazine cost $1.00, and the rest of the production costs were made up by selling advertising space to local merchants. Despite the editorial board’s efforts, the Magazine was not financially self-supporting until the 1880-1881 academic year. The organization of the Magazine was heavily influenced by the particular constraints of Philomathean membership. The moderator was an ex-officio member of every Society committee, and was hence included as an editor. A committee of Philomatheans was appointed each month to contribute material for the Magazine in its initial period, although submissions were also solicited from the larger University population in subsequent years; the call for external submissions was intensified when the University Magazine began publishing on a semi-monthly basis in October 1881. By that time, the editorial board had expanded to include not only an editor-in-chief, four associate editors, and the moderator of Philo, but also a correspondent from each of the law and medical departments. Although articles and correspondence were accepted from any member of the University, including faculty and alumni, the only way to join the editorial board of the University Magazine was to join the Philomathean Society first. Membership was capped at fifty; in 1875, the Department of Arts contained only 114 students. Editorials from the late 1870s suggested that men in Arts should join Philo, while men in the Towne Scientific School should join the Scientific Society, although whether there was an actual statute prohibiting Scientific School students from joining Philo remains unclear. By 1881, membership in Philo was open to “all undergraduates of the College Department,” meaning students in Arts, the Towne Scientific School, and the Wharton School. 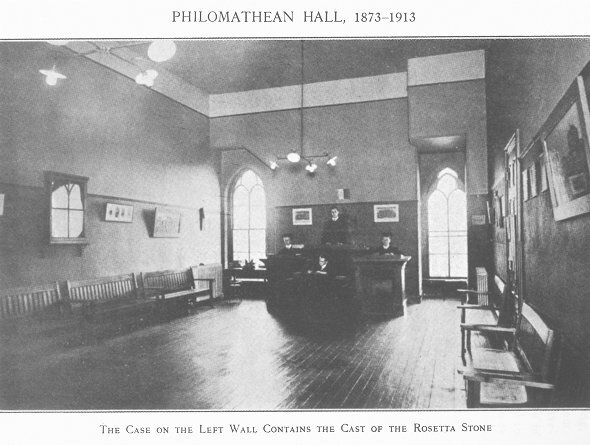 The University Magazine was not the first Philomathean publication on campus, but it was the first journal intended for wide distribution both within and without the University of Pennsylvania. More importantly, the Magazine represented a break from the past in that the work of students was being consciously used by the students themselves to increase the prestige of their institution, and to make the name of the University of Pennsylvania known more widely in the milieu of American higher education. For a literary society at an American college during this period, this was a highly unusual move. 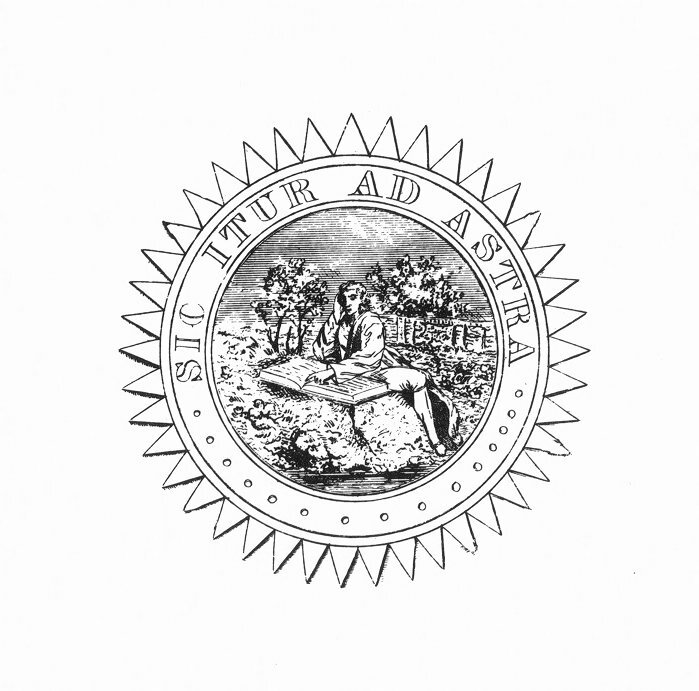 With their heavy emphasis on rhetoric, oratory, and the classical debating style, most collegiate literary societies remained locked in the intellectual tradition of the American early republic. Literary society men were meant to follow in the path of great speakers and parliamentarians like Daniel Webster and Henry Clay, or possibly Marcus Tullius Cicero and other ancient luminaries. From its inception, the University Magazine represented a radical shift from traditional literary society behavior. Even in the early issues where essays and poetry dominated, University news still appeared in the Magazine, and every effort was made to connect the publication to the University of Pennsylvania; until the fall of 1879, the Magazine’s masthead was an engraving of College Hall. The publication of the University Magazine was part of a larger blossoming of American collegiate print culture in the 1870s, largely as a result of improved cheap printing technology. In 1863, Philadelphia printer and inveterate tinkerer William Bullock invented the web off-set rotary printing press, which allowed material to be printed simultaneously on both sides of long, continuous rolls of paper. Bullock’s press could print the equivalent of 10,000 flat sheets per hour, an enormous increase in productivity compared to earlier technologies. The editors of the University Magazine regularly exchanged and reviewed the publications of other colleges, including The Princetonian (1876), The Vassar Miscellany (1866), The Spectator (Columbia, 1877), The Bowdoin Orient (1871), and The Crimson (Harvard, 1872). The Crimson and the Bowdoin Orient claim to be the oldest continually existing daily and weekly newspapers, respectively; the Dartmouth, first published in 1799 but completely re-organized in 1875, claims to be the oldest college newspaper in the United States. Although the University Magazine cannot lay claim to any of the myriad permutations of “first,” the Magazine was part of the vanguard of American collegiate publications.